Orbital announced today that on Tuesday, February 12th they will perform a hot-fire test at the Mid-Atlantic Regional Spaceport’s Pad-0A for their new Antares rocket. The window for the engine test is 6-9 p.m. EST. NASA’s Wallops Flight Facility will provide launch range support. The test will fire the Antares’ dual AJ26 rocket engines, which will generate a combined total thrust of 680,000 lbs., for about 30 seconds while the first stage of the test rocket will be held down on the pad. The hot fire will demonstrate the readiness of the rocket’s first stage and launch pad fueling systems to support upcoming flights. 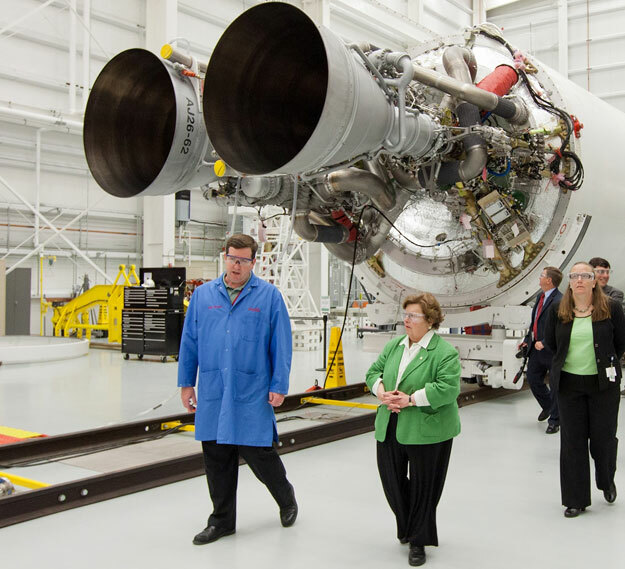 Read more: Orbital Schedules Antares Engine Test for February 12th – SpaceRef Business.